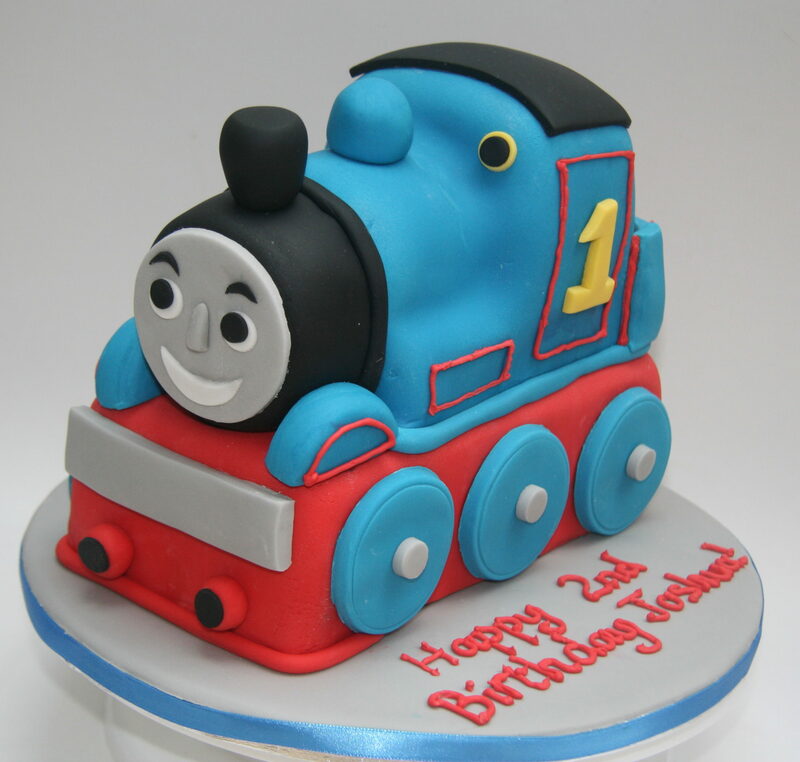 Thomas in vanilla sponge – can be done in chocolate too. Thanks so much for creating such an amazing cake for our Thomas obsessed son. He was very much wowed by his cake, even though it was almost too fantastic to cut up and eat, glad we did though as it was extremely yummy!